Too bad they can't do it in the Spring, but the fishing is usually off the charts for a few days after the water comes down. Here are some more details on the flood. 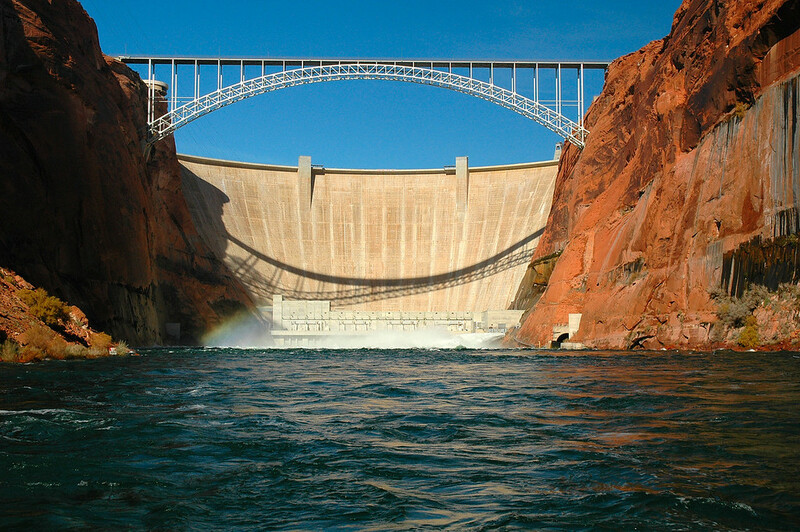 The Department of Interior will conduct a High Flow Experiment (HFE) release from Glen Canyon Dam from November 5-8, 2018. This high-flow experiment will include a peak magnitude release of approximately 38,100 cubic feet per second (cfs) for 60 hours (four days including ramping from baseflows to peak release) to move accumulated sediment downstream to help rebuild beaches and sandbars. Releases from Glen Canyon Dam will begin ramping up to full power plant capacity (approximately 23,100 cfs) on the morning of November 5th. At 10:00 am MST on November 5th, bypass tubes at Glen Canyon Dam will be opened and releases will continue to increase up to full power plant and bypass capacity (approximately 38,100 cfs) by 2:00 pm MST on November 5th. Releases will be maintained at peak release for about two and a half days (60 hours) and then begin ramping back down. Releases will return to normal operations at about 3:00 pm MST on November 8th. November releases from Glen Canyon Dam prior to and after the HFE are expected to fluctuate between 6,500 cfs and 9,000 cfs. I think most of you know how we feel about these floods. First and foremost...they occur at the wrong time of year to produce any benefit to the river other than temporally rebuilding some beaches in the Grand Canyon. There has been a recent push to switch these floods into the spring; we will see if common sense will prevail. On a positive note...fishing is often "off the charts" good immediately following one of these floods. The fish are in different spots than normal but they are feeding like crazy. Just a thought. Powell is so big I am not sure how these releases effect lake level, if any. But spring releases for irrigation here at Elephant Butte expose bass beds killing the spawn.